Out of hours appointments can be arrange upon request. 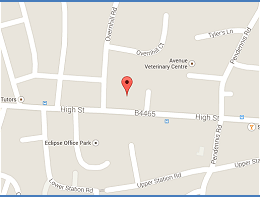 The practice is located on the B4465 between Fishponds and Mangotsfield. Free car parking is available in the street opposite the practice (limited to 2 hours). There are two free car parks within easy walking distance, one short stay one long stay. Patients are asked not to bring cars on to the drive. Bus routes are 49 . 332 . 584.